POSDATA provides a full line of verification systems for maintaining a high level of print quality control for printed barcode images. Barcode verifier systems range from PC-based to battery operated portable units to online verifiers for thermal transfer printing systems to bench validation systems for all linear and two-dimensional codes. Why use a barcode verifier? Without verification, barcodes entering the automatic data collection system run the risk of not scanning efficiently (or not scanning at all) or may be read with substitution errors, which would cause bad data to be entered into the system. A point to recognize and remember—scanners are NOT verifiers. Scanners are designed to read and collect data. Verifiers are a quality control instrument to prove print quality and enhance first read rates. Why buy a barcode verifier from POSDATA? It’s all about the experience. 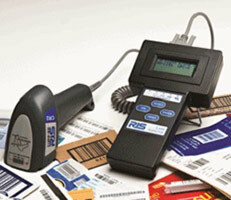 POSDATA has been selling and supporting barcode verifiers for more than two decades. We have installed countless print quality control systems. Our knowledge and support of verification equipment position us as one of the best in the industry. We can train users to properly install and interrupt verification analysis. What brands of verifiers does POSDATA offer? We sell and service the best verification systems in the industry—Axicon PC & handheld verification systems, RJS handheld/portable verifiers, and Printronix online verification systems. The L1000 analyzes the essential traditional verification parameters including average bar deviation, quiet zones, encodation check, mod check and ratio where applicable. Designed for maximum ease of use, even traditionally hard to verify barcodes such as high-density codes with 5 mil (.13mm) X dimensions and codes on irregular, wet, shiny, laminated, or moving surfaces are accurately analyzed.